The general use of digital maps and mapping has increased dramatically over the last years. Parallel to this boom in mapping the diffusion of Geographic Information Systems (GIS) rose with the ubiquitous use of digital data, devices and the internet. Maps and map-based information are not only everyday companions on our cell-phones, weather and traffic maps, they also move more and more into the focus of the Humanities. GIS seems particularly attractive for historical research with a strong spatial dimension such as Urban History. GIS has been applied not only for visualizing patterns and structures which have already been analysed by ‘traditional’ methods, but also for the process of building and developing hypotheses through the identification of spatial structures which are not so easily discerned in narrative or tabular form. 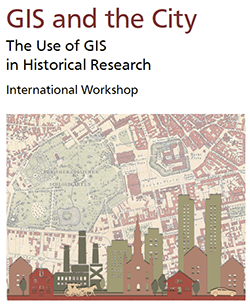 This Workshop An European-wide setting of interesting and different approaches in the use of GIS for historical questions and research is presented in this workshop. A “GIS Marketplace” will offer new ideas and projects from students and scholars working with GIS & History. A concluding Round-Table discussion will present critical views on benefits and possible pitfalls of GIS in the Humanities. Am 16./17. März 2017 finden in Heidelberg die „E-Science-Tage 2017“ statt. Gastgeber ist das Universitätsrechenzentrum Heidelberg. Unser heiMAP-Projekt wird auf der Postersession zu finden sein. Weitere Informationen und das aktuelle Programm finden auf der Projektwebpage. 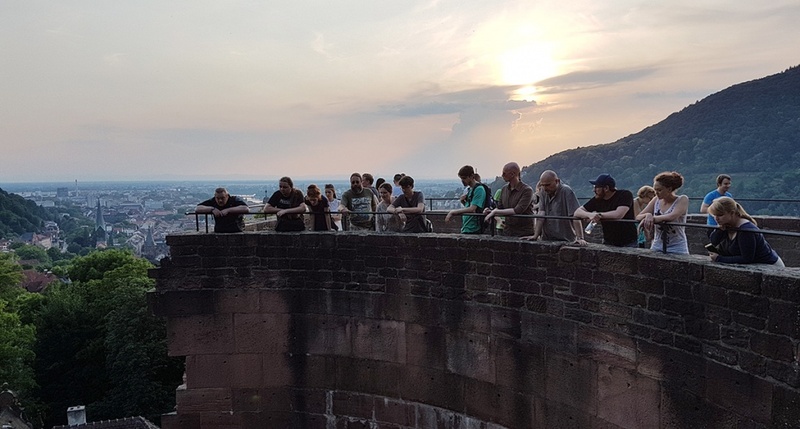 Die Veranstaltung wird gefördert durch das Ministerium für Wissenschaft, Forschung und Kunst Baden-Württemberg. Das Programm mit den Beiträgen für den Workshop „Exploring Old Maps – Second International Workshop on Exploring Old Maps (EOM 2017)” an der Universität Würzburg vom 6.–7. April 2017 ist nun online. Als hochkarätige Keynote-Sprecher konnten Martijn Storms von den Leiden University Libraries gewonnen werden, der zu „Georeferencing by Crowdsourcing“ im „Maps in the Crowd-project“ spricht. Des Weiteren stellt Yao-Yi Chiang von der University of Southern California Untersuchungen zu “Querying Historical Maps as a Unified, Structured, and Linked Spatiotemporal Source” vor. So ist von einem spannenden Workshop für den Umgang mit großen Beständen historischer Karten und deren semi-automatisierte, strukturierte Auswertung auszugehen, der viele der aktuell laufenden Projekte zusammenbringt. 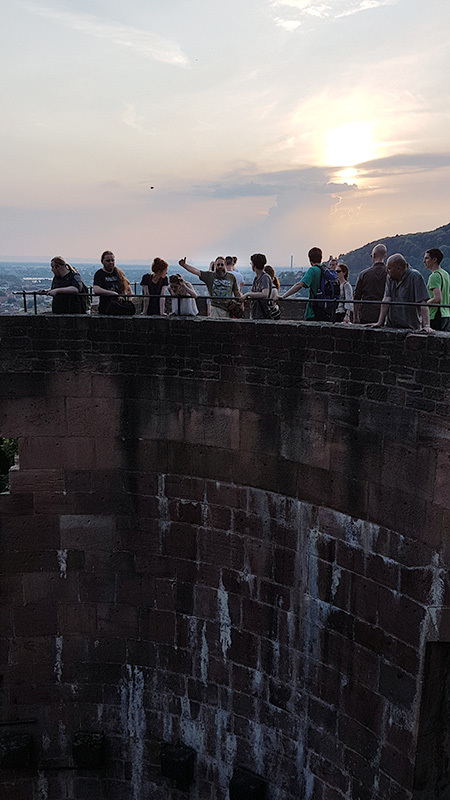 Beschreibung: The course aims to give the students a practical knowledge of GIS-based spatial analyses in archaeology. The teachers will give the students access to a moodle platform where they can find literature, examples and video tutorials. The main goal is to help a researcher to evaluate which is the best analysis to run according to a given dataset and a precise historical question. Spatial analyses are often complicate algorithms that produce always an output. The crucial step for an archaeologist is to critically evaluate the available dataset. An output can be formally correct, though historically useless, and sometimes even misleading. Archaeologists should avoid any determinism cause-effect relationship between input data and output. In particular, the lectures and seminar will focus on the making of a cumulative cost surface to evaluate settlement location, route network and resource exploitation. A further set of analyses will investigate the morphology of a landscape beyond slope and aspect. We shall focus on the potential of each cell of the DEM (digital elevation model) for human movement, settlement, exploitation. In addition a special attention will be paid to the flow and persistence of water. Bill, Ralf: Grundlagen der Geo-Informationssysteme . Berlin 2012. Burrough, Peter A./McDonnell, Rachael A./Lloyd, Christopher D.: Principles of Geographical Information Systems. Oxford 2015. Conolly, James/Lake, Mark: Geographical Information Systems in Archaeology. Cambridge 2008. Kappas, Martin: Geographische Informationssysteme. Braunschweig 2012. De Lange, Norbert: Geoinformatik in Theorie und Praxis. Heidelberg 2013. Volkmann, Armin: Geografische Informationssysteme in den Digital Humanities. In. F. Jannidis/H. Kohle/M. Rehbein (Hg. ), Digital Humanities – Eine Einführung (Stuttgart 2017), 300-315. After last year’s success, we are happy to announce the return of the International Workshop on Exploring Old Maps (EOM). Many libraries own an extensive collection of historical maps. Beside their value as historical objects, these maps are an important source of information for researchers in various scientific disciplines. This ranges from the actual history of cartography and general history to the geographic and social sciences. With the progressing digitisation of libraries and archives, these maps become more easily available to a larger public. A basic level of digitisation consists of scanned bitmap images, tagged with some basic bibliographic information such as title, author and year of production. In order to make the maps more accessible, further information describing the contained information is desirable. This would enable more user-friendly interfaces, relevant queries of a database, and automatic analyses. The purpose of this workshop is to provide a forum for the communication of results (which may appear elsewhere) that may be useful to the community. Researchers and practitioners of all areas working on unlocking the content of old maps are welcome to participate. We welcome humanities scholars, developers, computer and information scientists as well as librarians, archivists and curators. Submissions are welcome from researchers at all career stages. Authors are invited to submit abstracts for presentations, posters and demonstrations. The workshop will not have formal proceedings. Therefore, abstracts submitted to the EOM 2017 may report on work in progress, be submitted to other places, and they may even already have appeared or been accepted elsewhere. We particularly welcome submissions that have the potential to stimulate the collaboration between the humanities and computer science. The reviewing process will mainly determine whether a submitted abstract promises to fit into the scope of this workshop. Based on the review and its mandate to create a balanced and varied program, the Program Committee will decide about the acceptance of submissions. The authors of the papers accepted for EOM 2017 will be invited to submit the final versions of their abstracts for on-line publication in the digital workshop booklet and will be considered for a special issue in an appropriate journal. Abstracts must be submitted to EOM 2017 via EasyChair. Each submission must specify its type in the EasyChair submission form. The abstracts must not exceed 2 pages and the second page must contain only references and figures. All submissions must use the provided Word or LaTeX template in DIN A4. Abstracts for demonstrations should include descriptive screenshots and a description of the system’s functionalities. Mit einem Schwerpunkt auf dem Management von Forschungsdaten (FDM) behandeln die E-Science-Tage 2017 erreichte Fortschritte, neue Herausforderungen und Chancen bei der Arbeit mit digitalen Forschungsdaten. Die E-Science-Tage bieten sowohl Forschenden als auch Infrastruktureinrichtungen ein gemeinsames Forum für die Initiierung und Etablierung nachhaltiger Lösungen.